These days' snowboards come in many different shapes and sizes. As a beginner/intermediate/ advanced rider it is important that you find a board that is the right length and also the weight range to suit you. Try not to be swayed by pretty colours, or a cool graphic, as it will not effect your riding at all. We know that Top sheet graphics can sell a board, but is it the right one for you? No one on the slope will care what your board looks like. Instead use The Board Basement search filters to find the right board for you. As a general guide the board should reach somewhere between your collarbone and your chin. Please note that the riders weight is also very important when choosing a board. If you are too lightweight for a board you will find it hard to control and turn. If you are too heavy you might break the board and you will loose a lot of speed and sink in powder. You can use our snowboard guide to get an idea what board to choose. As a beginner you should avoid getting a stiff board, as they are harder to turn at slow speeds. The softer flexing snowboards tends to be much easier to control and they are also much more forgiving towards mistakes but less stable at high speed. If you feel confident with your skills and want to go faster and do more carving you might want to get a stiffer board flex to give you better response and edge hold. The flexibility of a snowboard affects its handling and typically varies with the rider's weight. There is no standard way to quantify snowboard stiffness, but beginners and boarders who mostly do rails tend to prefer softer flex, racers stiffer flex, and everyone else something in between. Park riders that enjoy big jumps tend to ride mid to stiff twin boards. How much experience you have on a snowboard can determine what type of snowboard you get. At an advanced/Expert level, you will need a more specific snowboard. There are specific boards that are designed for the first time buyers / beginner riders that are really easy to progress with and will take you to the next level. Use our search filters to find the perfect board for you. Camber - This is the traditional shape of Snowboards; a few years back most boards had the Camber shape. Camber arches upwards between the bindings with four contact points near the tip and tail. This shape makes the board springy in and out of turns, which is great when carving. It also makes the board great for popping ollies as the board has a lot of rebound or POP. A Camber board requires a good technique as it is easier to catch an edge. Great for all mountain carving down the mountain and the riding that likes to go fast and need the quick response and edge hold. Rocker (Reverse Camber) - The exact opposite of Camber. The Board curves upwards from the middle of the board, so that when laid flat the nose and tail are significantly off the ground. The up-turned ends makes it harder to catch an edge and it also raises the nose for better float in powder. This shape is also very popular for park and freestyle riding as it is more forgiving for catching edges on landings and rails with its raised contact points. You may loose a bit of edge hold and pop with a Rocker board, but there are ways to counter for this using; different types of material such as carbon, bamboo to add stiffness where you need it and other constructions techniques, such as ?Magne-traction? or ?Grip tech?. All manufacturers have their own way of doing this. Flat Base (Zero Camber) - The board is entirely flat from nose to tail. This keeps your entire effective edge on the snow, spreading your weight evenly and making it harder to catch an edge. This makes it great as a beginner board but also very popular for casual free riding, pipe and big air jumps as there is no curve. The flat boards still retain good pop like a cambered board but are less aggressive and catchy which cambered boards tend to be. Combined Camber - This is a combination between Camber and Rocker in an attempt to get the best of both worlds. You can find rocker in the nose and camber under your feet and rocker again in the tail or Rocker between your contact points. Different manufacturers have their own way of doing this. Lib tech and Nitro for example uses rocker between the contact points and camber under foot and then rocker in the nose and tail, whereas Ride have rocker in the nose and tail with camber between the contact points. Directional = the stance is "set-back" so you have a longer/ wider nose and a shorter/ stiffer tail (ideal for powder riding and speed!)? True Twin = equal length on nose and tail, completely symmetrical so easier to ride "switch" (ideal for Freestyle and Park riding). Freeride: Longer than freestyle and park boards. Moderate to stiff in flex and typically directional (versus twin-tip). Used from all-mountain to off-piste and backcountry riding, to 'extreme' big-mountain descents - Powder riding with raised noses and pin tail designs to aid in float in powder. Splitboard: A snowboard which splits in half lengthwise, and allows the bindings to be quickly connected to hinges aligning them longitudinally on the board like skis. This allows the halves of the boards to function as cross country skis. Used with removable skins on the base of the board, which easily slide forward on snow but not backwards, they allow a snowboard to easily travel into the backcountry and make ascents easier and quicker than hiking. Once the rider is ready to descend, the board halves can simply be joined back together to reform a board. If your boot size is bigger than UK 10.5 you will need to choose a wide board. If you don't, your feet will be in contact with the snow (toe/heel-drag) and interfere with the board's ability to make turns once it is set on edge, or 'get hung up on the snow. You will spend most of your time falling over or loose speed. Mid wide boards are great for heavier riders and riders with size UK 9-11 to give you extra float in powder and more stable platform to ride on. What kind of snowboarder are you?? When buying snowboard equipment it is useful to have an idea of what kind of snowboarder you are or what kind of snowboarder you want to be!! It seems to be a question you will always be asked. A snowboarder that explores all areas that the mountain has to offer from: piste/groomed runs, off-piste powder riding , jibbing (pressing and messing around on) natural terrain, moguls, tree runs, terrain parks, mellow or challenging slopes. The majority of snowboarders make up this group. They may have quiver of boards or a good all-rounder. Urban/ Street = snowboarding in the streets, a very skate influenced side of snowboarding predominately riding rails. This is creating freestyle features out of handrails, staircases, ledges, walls and other urban landscapes? This snowboarder is a speed junkie. Spends their days in a Boarder- X course that consists of rollers, whippy jumps, spines and berms or sharp banked corners. The aim is to get to the bottom in the fasted time ahead of the 3 or 4 people you are racing against. Remember these are loose terms and there are crossovers between the terms. And what you decide to be now may change over time and as you ride more. The key thing in The Board Basements opinion is whatever style you ride, enjoy, be safe and have fun! The Board Basement caters for every type of snowboarder, and now you know what you are, you can be sure to buy the equipment best suited to your riding style. Use the search filters when buying a snowboard, Boots, Bindings and other products to find the best suited equipment for you. When the lights power up for a chilly night sesh, you’re going to be one of the few still running laps on the revamped K2 Bright Lite. 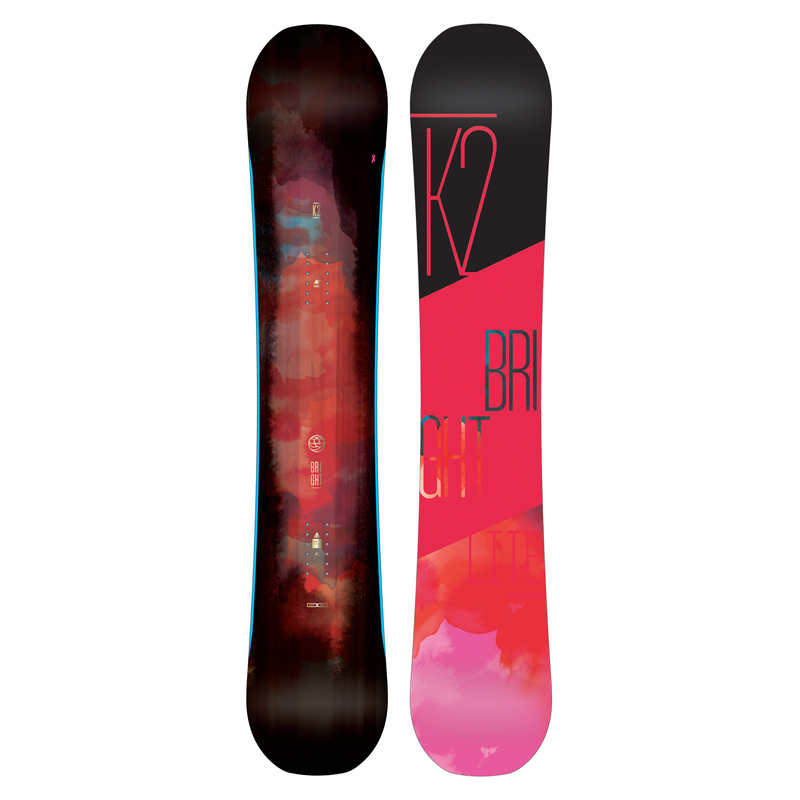 This board was designed by the women of the K2 Snowboarding Alliance to take on unlimited all-day snow days. We’ve redistributed the volume in our signature Rhythm Core for less swing weight and more play time, and our patented Hybritech construction consistently delivers light, smooth turns and long-lasting durability. The K2 Bright Lite’s All-Terrain Baseline rocker makes each run feel fresh, from first chair to last call. Very similar to Twin boards but generally have a slightly longer nose. It is sometimes a bit hard to tell the difference as directional twins come in a large variety of stance setups and core styles. The Directional Twin boards are designed to ride predominantly better one way. For anyone with boot size below UK 10.5. Use the slide below to find your preferred board flex. A stiffer board is more stabile at speed and more responsive edge-to-edge. Stiffer boards hold an edge through a turn much better. Stiffer boards require a better technique. Softer boards tend to be easier to turn and are more forgiving, but less solid at higher speed. A soft board is better for butters and presses. These boards are more specific for the riders who spend most of the time in the park or into urban riding, riding rails. These snowboards have a tendency to be softer in flex and with true twin shape. This is your playful choice. The All Mountain snowboards are the most versatile boards and designed for the rider who likes doing a little bit of everything. From cruising the pistes and playing in the park to riding powder. For a more freestyle orientated board you want a twin or directional twin board. The Freestyle boards are for the riders who like to make the whole mountain into a park. 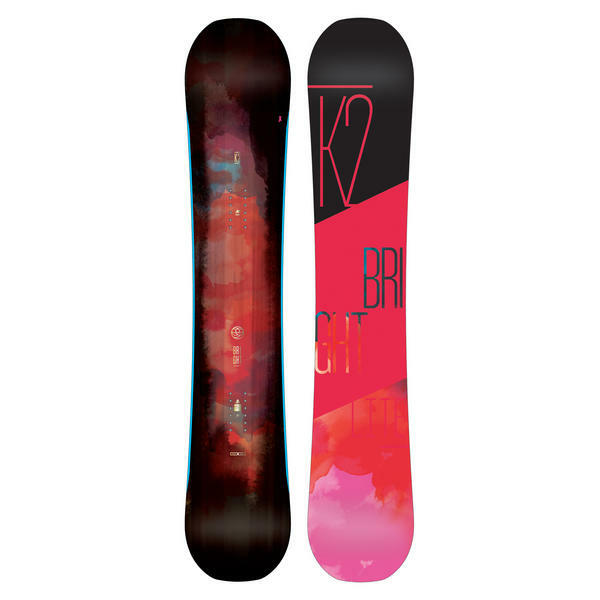 These Snowboards are designed for the first time buyer who spent a few days or up to 3 weeks on the snow. If you don't want to rent a board and would like your own snowboard that will help you progress to the next level and won't break your bank, you should find it here. These Snowboards are great for the rider who master their technique and have at least a few weeks on the snow and want something a little bit more challenging and fun to ride. The Advanced snowboards are for the experienced riders that feel very comfortable on a board. These Snowboards are for the hard charging and really skillful rider that wants the board with the highest spec. Matt Biolos' Mid-Width Twin Freestyle carver. Super fun and floaty. Short and Fat Mayhem Board. Float in the powder with this stubby board! Directional Twin Freestyle fun. Camber done right for the intermediate to advanced rider. Wide version of the board that started the reverse camber trend the amazing skate banana! The all mountain freestyle destroyer! For real men! High spec Freestyle board for the advanced young riders. Bombproof freestyle board that will keep going season after season. Ideal easy to ride all mountain board from Roxy. Ideal for the wannabe out there. Start them young and make sure they have fun! The perfect second board for the ladies out there. Side-Country Airliner with All-mountain performance. Directional fun stick!